Can you truly understand a culture from your armchair? Michael Palin, the man who has opened up the world in 80 days, pole to pole, the Sahara, the Pacific Rim countries, the Himalayas, and ‘New Europe‘, is back with a new documentary travelogue series from Channel 5: ‘Michael Palin in North Korea‘. 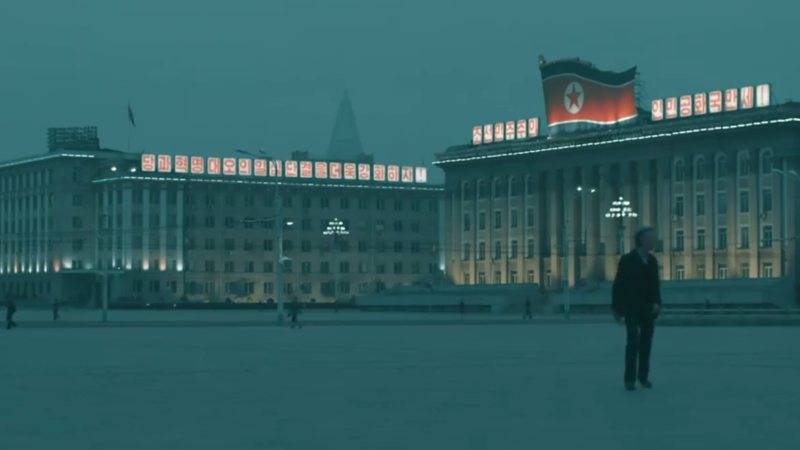 North Korea – Will Michael Palin discover a new view? 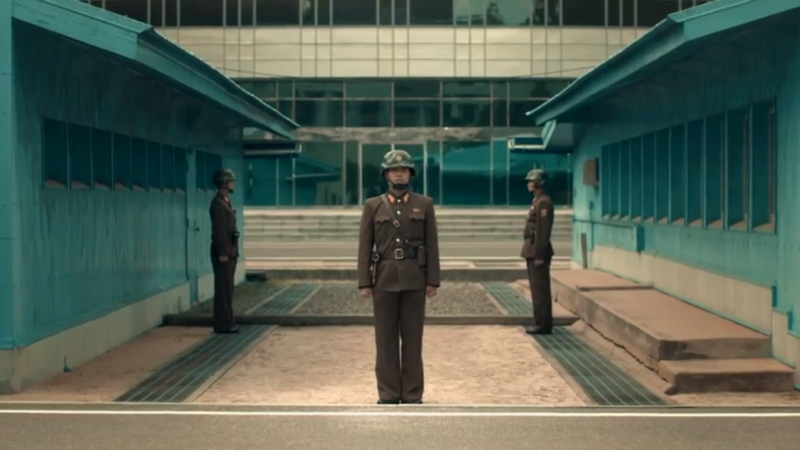 North Korea has long been a country of mystery, secrecy, and fear. Since the partitioning of the Korean Peninsula, following the Second World War, the Russian installed brand of Communism has taken on a life of its own with a succession of revered, Dear, and Beloved Leaders having an almost god-like status among the population. But Michael Palin, him of the Monty Python fame, and the man who’s travel documentaries made me want to travel the globe. What could the light-hearted spin possibly be, that he could put upon North Korea? Dancing Traffic Officers? In the title sequence to the program, we get a little insight into how Palin is going to tread carefully between the lines of investigative travel documentary and respecting his minders and hosts. In an observational manner, Palin stops to watch the Traffic Police Officers in their choreographed display of traffic control. Stood in the middle of a junction they perform their traffic control duties with the poise of a performer and display strict, controlled movements like the guards outside Buckingham Palace. Palin never ignores the fact that his journey around North Korea is at all times controlled and monitored by his native ‘hosts’. We get to meet them early on as he exits from the train that brought him to the country – he is quickly greeted by two smiling, but firm, young minders – there to make sure he sees what the country’s ruling elite want him (and us) to see, and not the negative side of a country under economic sanctions. But it’s not all grey, and it’s not all crumbling infrastructure. From a high vantage point, Palin points out the colourfully painted buildings, and we begin to think that maybe we have caught this country on the tipping point of change. Only then we get told that the colour was under the direction of Kim Jong-un and that it was his gift to his people to brighten their day. At multiple points, the reminder is there, that this is an autocracy, despite the ‘Democratic’ name and Socialist ideals. My earliest memories of travel programmes revolve around Palin’s 80 Days around the world. It was a journey around the world brought into our living rooms and bedrooms. Travel to countries previously unknown to the small child I was at the time. The colourful TV was showing me people I didn’t know existed and lands on the brink of modernisation. A perfect time-capsule of the world in a state of change. If anyone hasn’t yet seen Michael Palin’s 80 Days Around the World (1989), I would highly recommend you get the box set and settle in for a cold autumnal weekend. Don’t be put off by the non-HD picture, or some of the more dated language and views of developing nations. It’s an opportunity to gain some on-the-ground insight into countries that transformed over the last 30 years. 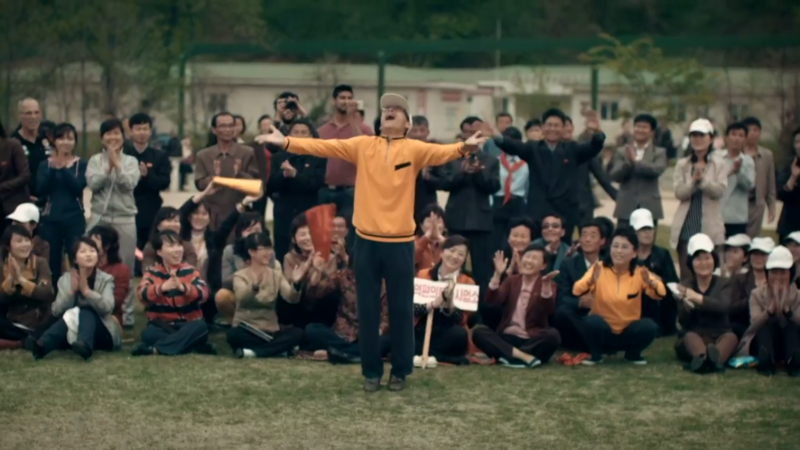 So how does North Korea come off in this latest travelogue? Dated or warmly nostalgic? Weirdly, I think it’s the latter, and I’m not sure that’s the real picture. Instead of seeming like a country held back by technology, modernisation, and economic prosperity, the first episode made me yearn for a time where we could wander down the road to the fair and spend an afternoon shooting air-rifles at tin cans. I felt nostalgic for a more straightforward way of life and a world where each country is different, and not just carbon-copy shopping malls and Starbucks. Where’s the real North Korea? So is the real North Korea, the country Palin is showing us around? Is it the highrise hotel and Health spa, where weirdly the lights come on as the camera pans into the room, and yet it already had people (actors?) posied ready to show how they were relaxing in luxury? Or is North Korea the land about which the western critical media tells us? A nation of starvation, beatings, and poverty, of impressive military displays and choreographed crowds? Palin reminds us often that whatever we are seeing, his filming is always accompanied by five or six minders in suits. The view of North Korea is controlled, intended, and a scrubbed-clean picture of what might be going on. Do travel documentaries work to help accelerate understanding? Did it open the door or is it perpetuating the propaganda? I think that every time we can get a little insight into a secret space, then we are pushing the door open just that little bit more. And that’s got to be a good thing. 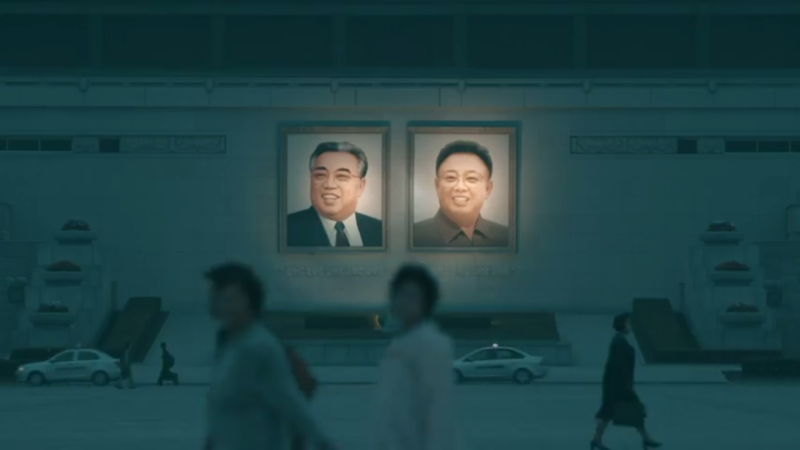 North Korea – Is any light a good light? The most puzzling thing for me was Michael Palin’s inflatable globe. Famous from his 80 days series, I remember the globe travelling around the world with him, being blown up to show where he was now, and where he was off to next. Not only can I not believe that the plastic has survived this long, but I’m also fairly certain that some of the countries on it don’t exist any more. 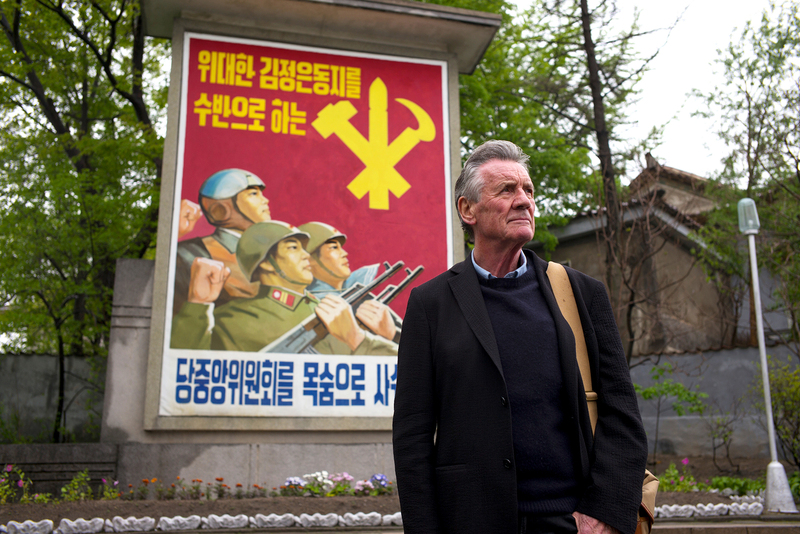 Michael Palin was the man who opened the world up to our TV screens and his trip to North Korea offers us and Channel 5 an opportunity to gain experienced insight into a secretive nation. It's good, but his access is still so tightly controlled that you are left wanting more. Good to see Palin back, but we still can't get the full picture in North Korea.